A dear blog friend came across this Oscar graphic and shared it with me because she knows I love this kind of stuff. She found it via this blog. And that blogger found it here. Now, I'm sharing it with all of you. This year, the five ladies up for Best Actress in a Leading Role are Amy Adams, Judi Dench, Meryl Strep, Sandra Bullock, and Cate Blanchett. Any predictions on whose dress will be added to the list above? The 86th Academy Awards will be hosted this Sunday night by Ellen DeGeneres. As always, I will have a full fashion recap on Monday. I can't wait! So, here I am in London, picking up my children from school heading home....and thinking of you, Sunday night & your Monday recap, isn't the world a funny place!!? Everyone seems to think that Cate Blanchett will win...I didn't like the movie but I love her & think she was great in it. I do love Amy Adams though & thought she was fabulous in "American Hustle". That is awesome! I love some of the older dresses the best. 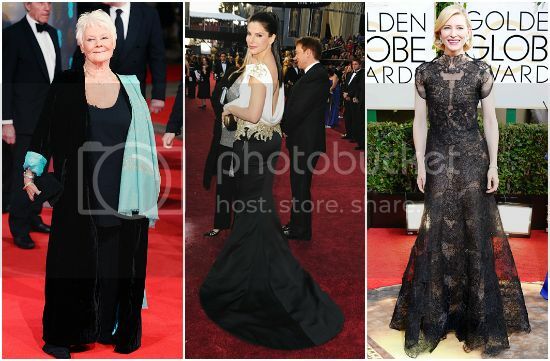 My prediction is Cate Blanchett and I think she'll have a fabulous dress! Great new blog look! I want to update mine now! As soon as I saw it I was like MISTY NEEDS TO SEE THIS!!! I am not even into the awards but I love the print, I wish it was for sale, poster size!!! I am not sure who will win - I haven't seen any of the movies sadly. I do hope though that Matthew McHotty wins for Dallas Buyers Club! :) I haven't seen it yet either but he did a lot of prep for the role. That's really interesting! I love to see the changes over the years. The 90s dresses are so 90s it makes me giggle. Same with the 80s! I love that image, thank you so much for sharing it! 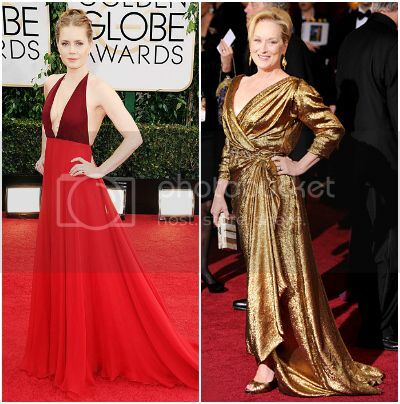 I'm hoping for Meryl for the win!